Offices are no longer spaces where we come just to work, but have become a place where friendships, relationships, and professional networks are born. This makes the process of designing a perfect office harder than ever. Business owners can no longer rely on providing only on things that employees need to do their work, but also on things that will make the entire office more comfortable place especially as we spend more time at work than at home. 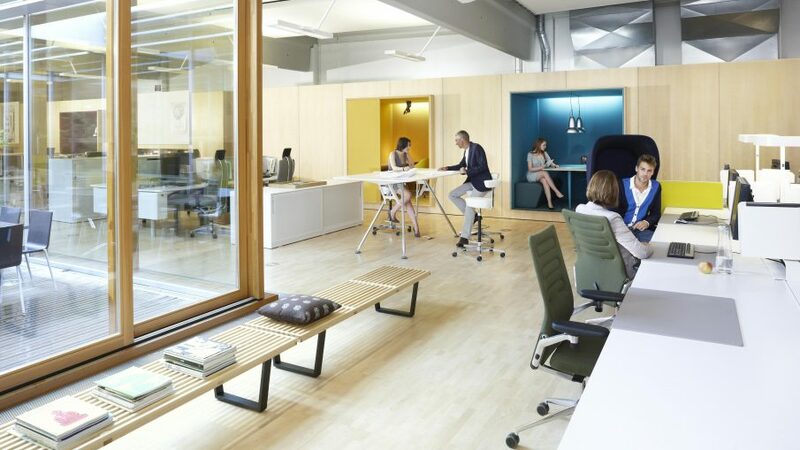 Great office space can boost productivity and creativity among employees and build a team spirit. Of course, sometimes the possibilities are more than limited due to a number of people and space we have, but that doesn’t make good working space less significant. Before implementing any of these ideas, it is good to have all the criteria recommended by syndicates and workers’ protection already implemented. Offices with a lot of daylight are always a better choice than those that have only artificial lighting. Ergonomic chairs are a must for most office spaces, no matter how funky, urban or cool your company is. Only after the necessities are delivered, you can start thinking about additional elements that can make your office more comfortable. Nothing is worse than having a hi-tech meeting room, and employees with computers that still operate on Windows 2003. In cases like that, no matter what you do, it will be hard to make the office a better place where employees feel comfortable. One of the main reasons everyone wants to work for Google is perks and benefits of Google buildings. However, it is quite understandable that not every company can afford swimming pool, yoga room and free massages. That is why it is important to work within the budget. After you have set up all the elements necessary for the working process, think about small perks that can help you design a better office. It can be something as simple as a couch in the meeting room so everyone feels more casual and inspired. Another company that does a great job in office design, is binary broker IQoption. Their average employee is very young, so they fulfill their needs for movement and physical activity by delivering them gym, different table and board games etc. They allow them to express themselves through music and art and decorate their working space. Maybe all your employees need is a new sitting organization to be more productive or want to remove that ugly carpet. You don’t have to open a wellness center in the basement! Simply create a space like a kitchen or a balcony where people can come to enjoy a break without thinking about the workload that is waiting for them. This decision can be implied directly or indirectly, but stick to it. This can also be a space where the employees can make a short private phone call without interruptions or everyone listening. Nothing is worse than a huge empty office, or a small office crowded with people that are noisy and distracting. Always have a few spare places for potential new employees, but try to have optimum space – employees ratio. This will create a better working atmosphere and help your team focus. Also, think about different teams in your company. Accountants usually prefer calm atmosphere, while creative designers and writers are usually used to noise and movement. Many business owners neglect the importance of storage space for every single employee. It can be a drawer or a small cabinet but it will reduce mess and help them focus on what matters. A tidy desk is one of the keys of good organizations and helpful knickknacks like pencil cases, notebooks, drawers and document holders can increase productivity quite quickly. Don’t insist on having everything in order, but give employees that appreciate good organization to be organized.